Did you know winter is the best time for tree pruning? Tree pruning is essential to the life of a healthy tree. 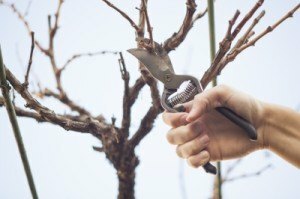 Although it is the dead of winter, now is the best time to prune your trees. All of metro Atlanta has been covered in a blanket of snow. The trees are cold, some even frozen. When old tree limbs get burdened by snow and ice, they can become very weak and break. You have seen this in areas around the city – down power lines with fallen tree limbs pinning them to the icy ground. Tree pruning can help prevent this from happening in your yard. Tree pruning usually involves removing the weak or dead limbs from the tree. We structurally approach each tree to make sure we prune limbs for optimum health for the tree. Prune the young trees so they can grow a strong trunk and roots. If pruning yourself, make sure you prune back the distance of 3% equal the tree’s height on permanent branches. This helps stimulate new growth. Tree pruning isn’t just for tree health; it’s also for landscape design. Pruning a tree can take some height off the top of a tree. It can help get rid of low obstructing branches on a tree with wild limbs. Pruning can add shape to a tree for design purposes. For example, trees and shrubs pruned to look like animals in a garden. Tree pruning is a job you can handle yourself, if the tree is of good size. However, if you have very large trees that need pruning, it is always best to call on a tree service company for assistance. Sharp Tree Service is here for your tree pruning needs. Call us for a FREE ESTIMATE today!